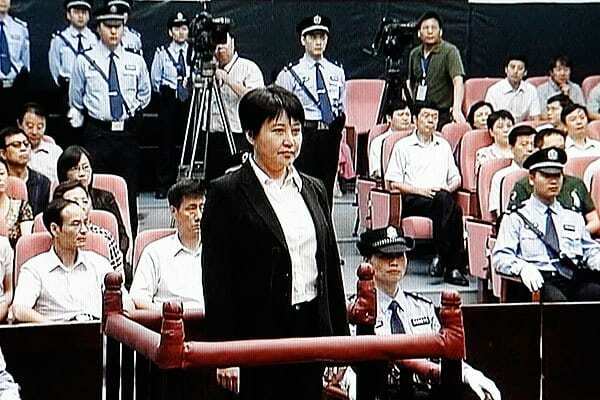 Gu Kailai, the wife of shamed Chinese politician Bo Xilai, has received a suspended death sentence for killing a British businessman. A former family aide was also sentenced as an accomplice to nine years in prison. Gu is expected to have her sentence commuted to life imprisonment after a few years served. Bo was dismissed from his post as party secretary of Chongqing after the scandal broke. This entry was posted on August 20th 2012 at 12:48pm/12:48 and is filed under Live News Column 1, World News. You can follow any responses to this entry through the RSS 2.0 feed.